The answer to weight loss may be hidden in your desk drawer….. read more. Often the first real taste of independence for many students, college life can prove to challenge adherence to healthy lifestyle habits. Heavy course loads, long study sessions, and early morning and late night classes can make it difficult for college students to eat regularly and to follow a nutritious diet. Further adding to the challenge are the numerous venues readily accessible to college students for “round the clock” eating – of which often serve foods high in fat, sugar, sodium, and calories. Maintaining a balanced diet will help college students to maximize cognitive performance, control body weight, and improve overall wellbeing. Poor eating habits need not take root in the college years. Here are some practical tips that college students can use to promote healthy eating: Read More. A nearly 60 billion dollar industry, the diet market is full of plans, programs, supplements, and foods that boast weight loss results. Our society’s obsession with attaining the “perfect” body, along with an increased awareness that nearly 2/3 of us or either overweight or obese, have put us into a state of desperation to “battle the bulge” – a situation that makes it all too easy for scam artists to pass off their weight-loss product as the “end all.” But how can you tell when the intention of a diet plan or product is to only make your pocket book thinner and not your belt line? The…. read more. Welcome to the first Putting it on the Plate with PICKKA posting here at the Health and Food Forum’s Blog. As a new regular feature, Putting it on the Plate with PICKKA will show you how easy it is to put a healthy meal on the table by using Evincii/PICKKA’s “Eat This?“ and “Shop to Lose“ apps for the iPhone. A question that I am often asked is “Can a healthy diet include prepackaged foods?” Yes, when the right choices are made. This answer, I realize, may sound as if a lot of work and time is involved in order to decipher the nutrition labels; however, the “Eat This?” and “Shop to Lose” apps take the frustration out of the decision making process for you. Both apps allow you to enter your health goals, then they do the work to find the right products for you. I entered my objectives (healthy eating, weight management, pre-diabetes, and high blood pressure). Then, I started scanning products. Based on the results from “Eat This?”, I was able to find products that mostly fell within the “Very Good Choice” range – in fact, I even got a “bravo” from my “Eat This?” app which made me quite happy. What meal did I prepare? 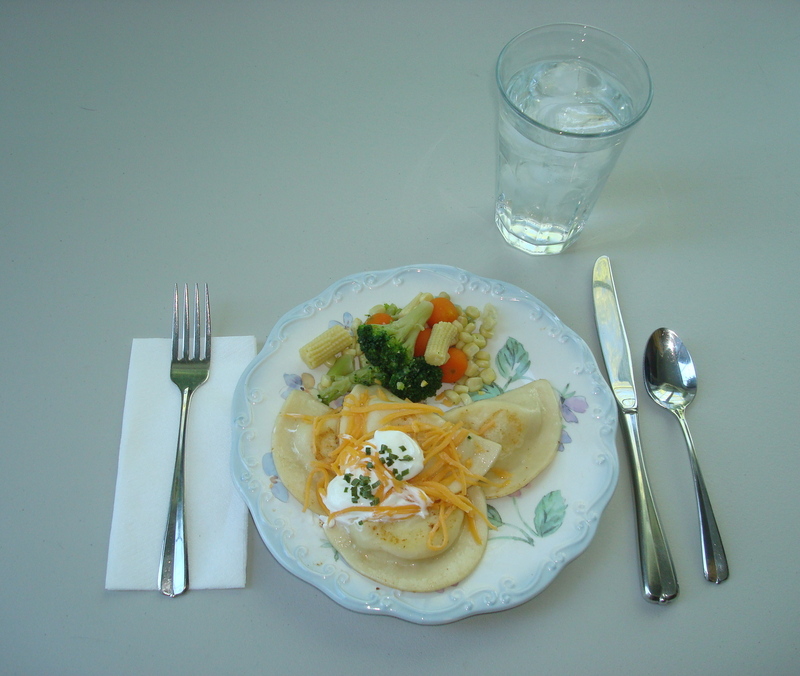 Low-fat pierogies topped with low-fat sour cream and fat-free cheddar cheese with a side of mixed vegetables. And, because I bought prepackaged and frozen foods, I was able to prepare the meal in under 20 minutes. The "Eat This?" app for the iPhone helped me find healthy prepackaged and frozen foods to make a quick, nutritious meal. How do you prepare quick and healthy meals for yourself or your family? Share with us, we want to know! Make your own healthy version of a fast food meal. Have you decided that you and your family need to cut back on the number of meals you eat from fast food restaurants? Your good intentions might be met with strong protests from the youngest members of your family, especially if they are big fans of the enticing kid’s meals offered at these chains. But, you can make this transition a little easier on all of you by making your own fast food meal – home style. The idea is to make the healthy change in diet fun for your child. You can do this by designating one night each week as “Make Our Own Fast Food Meal.” You can give your child’s favorite fast food meal a nutrition makeover if you prepare and cook it yourself. For instance, if chicken nuggets and fries are the number one choice, you can purchase lean chicken tender strips from your local butcher, dip them in egg whites, coat with bread crumbs, season, and then bake in the oven. French fries can be transformed into oven baked fries. Cut potatoes into strips, coat with nonstick cooking spray, season, and bake in the oven. 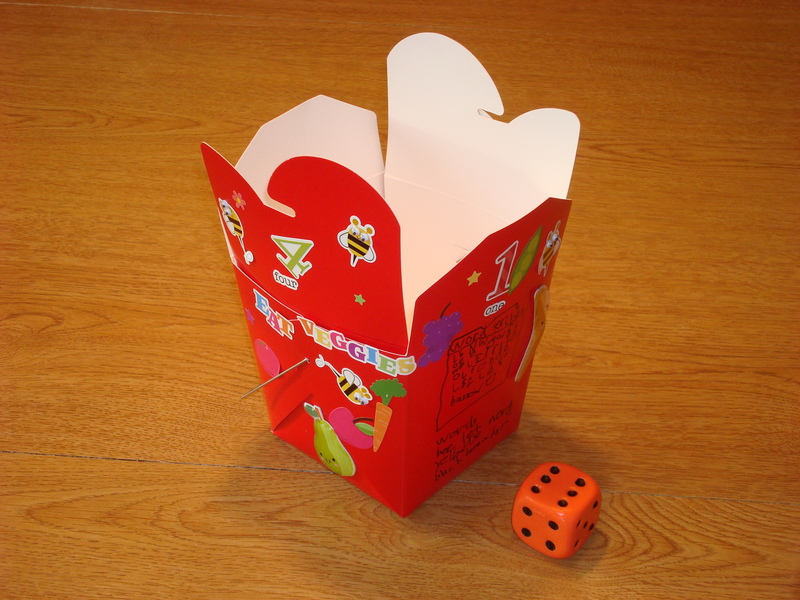 While you are cooking, have your child design and decorate his own kid’s meal box. A carry-out box that can be purchased from your local arts and crafts store is perfect for this activity. The child can use stickers and draw his own games (e.g., tic-tac-toe, etc.,) on the sides. To add to the fun, you can purchase a toy from the dollar store to place inside your child’s homemade kid’s meal box. 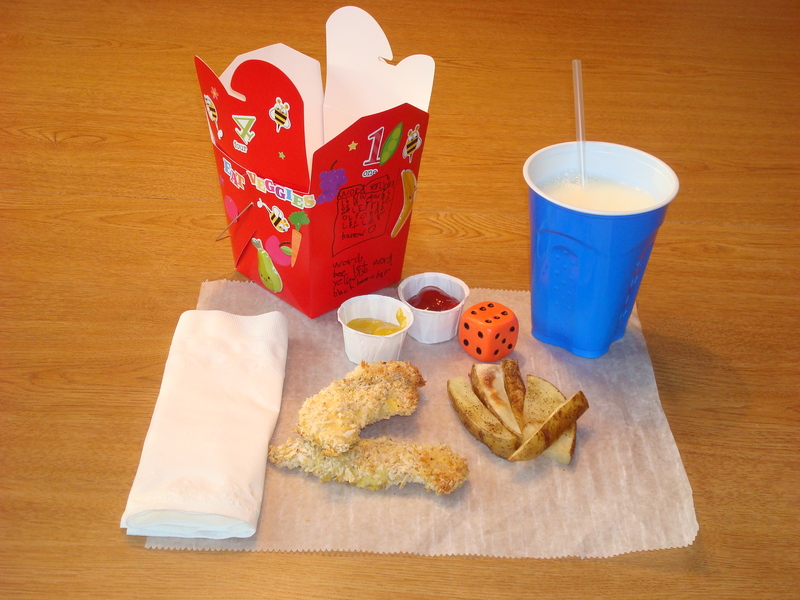 Your child will have fun making his own kid's meal box. Increasing the number of meals made at home, where you can control the fat, salt, and sugar content, is a great step toward living a healthy lifestyle. Engage your child in this decision by making the change fun and adventurous. As a result, you may find that your child starts to offer his own suggestions on how to eat healthier. 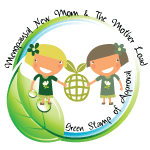 Do you have a clever idea that has helped your family make the switch to healthy eating more enjoyable? Be the first to comment below! We want to hear what you have to say! Which sounds more appealing? “I can’t eat anything” or “I deserve nutrient-rich foods”? Is your goal to have good health and to look and feel your best? Then focus on that instead of worrying about your weight. Obsessing about what you cannot eat isn’t a great strategy in the long run. Instead, think about helpful and easy things you can do to kick-start your journey to a healthier lifestyle. For example, I estimate that 15-30% of women could increase their energy level and strength by taking the right iron supplements and/or eating the proper iron-rich foods. Once you have more energy, you will be able to look forward to exercise – without thinking of it as a chore. In fact, you might even find yourself looking for ways to become more active! A great first step is to start going to local farmer’s markets to find fresh, nutrient-dense and antioxidant-rich ingredients to make fantastic salads and soups for yourself. Once you’re more active and prepare your own healthy foods, you probably will lose weight. But even more important, regardless of your weight, you will increase your chances of living a long, healthy life. For more information, visit my blog (http://healthyfat.blogspot.com/) and my website (http://www.healthyfat.com/). Gerda Endemann, Ph.D., is a Nutrition Educator with a practice based in Palo Alto, CA. She received her undergraduate educational training at U.C. Berkeley in Nutrition & Dietetics and her doctorate degree in Nutritional Biochemistry & Metabolism at M.I.T. Dr. Endemann is the author of numerous publications based on research she conducted on fat nutrition, cholesterol metabolism, heart disease, and cancer at such prestigious institutions as Stanford, Harvard, Brandies, and M.I.T.. In addition to offering personal consultations, Dr. Endemann is a course instructor at Stanford University and Foothill College. She also provides seminars for corporations, hospitals, and nonprofit organizations. The Health and Food Forum’s Blog is pleased to have Dr. Endemann as a member of our community.